These cufflinks are designed with a sense of freedom in mind. The sterling silver geometric shape sits proudly on the wrist and feature white diamonds. In keeping with the concept for the 'Liberty' range, the two cufflinks share a strong connection and yet are separated by space. Their design is minimal yet bold, slender yet strong; a true pleasure to wear! 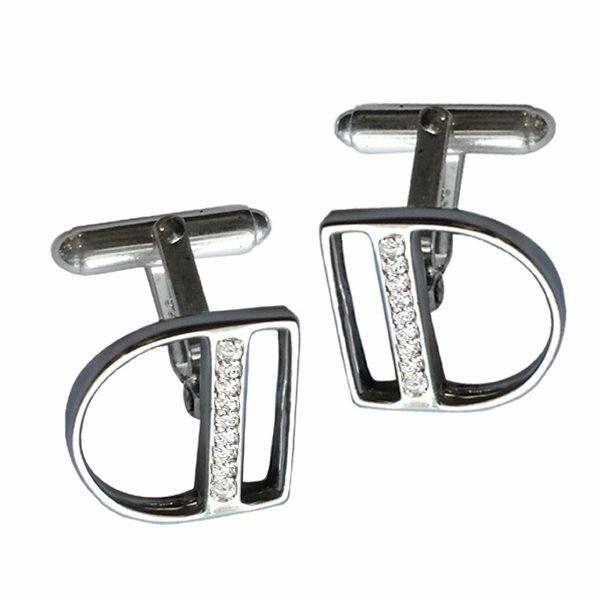 As these cufflinks are custom made to your size and specifications, please allow 3 weeks lead time. Variations of metal combinations and gemstones can be customised to your requirements. Contact us for a quote.